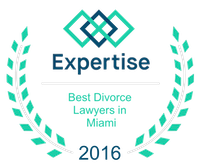 Patrick Vilar | Miami Family Law Lawyers Vilar Law, P.A. Contact Aventura Florida Divorce Lawyer Vilar Law, P.A. Mr. Vilar is a founding member of Vilar Law, P.A., a law firm concentrating its practice in the area of family law. Vilar Law, P.A., was founded with the goal of providing clients with honest, committed, energetic, and efficient legal representation in all areas of family law at a reasonable and fair price. In pursuing these goals, Mr. Vilar places the greatest emphasis on listening carefully to each client’s concerns and questions, protecting the client’s rights, and advancing the client’s position. Mr. Vilar is a hardworking and highly motivated attorney who has a genuine passion for the law and for his client’s legal rights. Mr. Vilar received his Juris Doctorate Degree (law degree) from the University of Toledo College of Law. Most notably, while in law school he participated in the moot court competition, reaching the quarter finals. Additionally, Mr. Vilar was the president and an active participant of the Hispanic Law School Organization. Practicing family law since 1996 in Miami, Florida, Mr.Vilar has established a wide and well-earned reputation for the honest, timely and cost effective resolution of his client's legal problems, whether the solutions are achieved through litigation or negotiation. Mr. Vilar is thorough and meticulous in uncovering the financial details of each case through what is called the discovery phase of each process. With regard to the more sensitive issues, like child custody and time sharing, Mr. Vilar recognizes that the best interests of the children are paramount. The welfare of the children is always given the most careful consideration by Mr. Vilar in every case. In general, Mr. Vilar strongly believes in the efficient and expeditious resolution of all conflicts. He injects a great deal of common sense into his everyday practice, and achieves success with practical and creative solutions at every stage. Mr. Vilar has handled hundreds of cases through all phases of the litigation process. He is also a Certified Family Mediator, and has mediated dozens of cases to successful settlement. Mr. Vilar has experience in handling all types of cases from complex to simplified divorces. Regardless of the degree of complexity of the case, Mr. Vilar gives his individual attention to each and every case he takes on. Mr. Vilar personally oversees and carefully monitors the progress of each case. Mr. Vilar knows that a satisfied client is the firm's best form of advertisement. Mr. Vilar is an active participant of the 1st Family Law American Inn of Court, an organization of active family law attorneys and judges, that promotes legal excellence, ethical practice, professionalism and public service. Mr. Vilar served on the board of directors for many years and was the president in the 2014-2015 term. 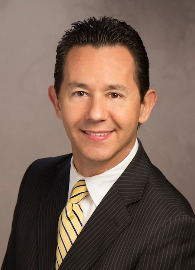 Mr. Vilar is currently a member of the Florida Bar Association, the Dade County Bar Association, and is active in COLBAR (Colombian Bar Association), where he has served as president and is currently on the board of directors. He is admitted to practice before the State and Federal Courts of Florida. Mr. Vilar is a former Big Brother with Big Brother and Big Sisters of Greater Miami, has served as the Chairman of the Kendall Community Council, is an avid triathlete and is an active member of Toastmasters International.